An operational control exists to ensure an activity is completed in the correct/desired way. This procedure should assist project teams in identifying where operational controls are required and checking the adequacy of operational controls. An operational control represents a mitigating activity and should be recorded in the EFM. Note: Operator perspective is required when considering operational controls in order to reflect practical and operational considerations. The Operational Control Decision Tree is designed to assist Project Teams to identify whether present controls, or proposals for controls, already exist and whether these are adequate from an environmental control perspective. The Operational Control Decision Tree will also identify where any controls need amendment, or if new controls are required. Where possible any environmental operational controls under this procedure should be combined with other operational controls associated with the operation of the equipment or service. To deal with an emergency situation if it was to occur. Physically test the adequacy of operational controls which exist to control environmental emergency situations, where this is practicable. No controls are present or proposed so new controls are required. The type of control must be sufficient to ensure that the activity is adequately complete to bring about the desired result. Separate operational controls may not be required to manage each Medium Priority and High Priority environmental impact, or those Low Priority impacts that can be easily mitigated, as one control could cover numerous environmental impacts. Note: The above list is not exhaustive. It is essential for assurance and audit purposes to have a list or index of where the relevant Environmental Management System operational controls can be found and therefore Form EMP08/F/01 - Environmental Operational Control Index, should be completed. The Project Team is responsible for ensuring that the procedure is completed. Completion will most likely be carried out by the project supplier or contractor, or possibly by an advisor. Any suggested operational controls identified or produced as part of this procedure should be agreed with the Project Team and agreed by the Environmental Committee. The procedure will normally be completed by the contractor for the Assessment or Demonstration Stages (if one is appointed) or the equipment supplier or service contractor as project documentation including operating procedures and disposal plans or related information is developed. The initial application of this procedure is likely to be in the Assessment or Demonstration Stages. If the Concept, Assessment and Design stages have already passed, any arrangements already in place must be reviewed to ensure that environmental risks are still adequately covered. Depending on the nature of the project, operational controls could be required during any stage or phase of the systems operation but may also be required during system testing and trialing and disposal. The outputs of this procedure (operational controls), will require periodic review and revision throughout the lifetime of the project. This is relevant where operational controls have been set early within the project for later life cycle stages. The appropriate timings for such reviews will be determined through following Procedure EMP09 - Continuous Review. The timings of these reviews should be recorded in the Environmental Management Plan. Form EMP08/F/01 – Environmental Operational Control Index. A copy of the information produced by following this procedure shall be stored in the Project’s Environmental Case. General advice on operational control procedures will be found in JSP418, and also ISO 14001. The key alignment opportunity in should be to ensure wherever possible that Operational Controls for the equipment or service control both safety and environmental impacts. The objectives for this procedure apply to all acquisition strategies. 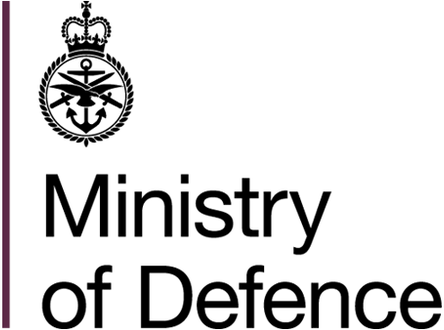 It is MOD policy that the same standards are met, and that assurance that these standards have been met shall be demonstrated for all projects. Legacy systems must identify or create operational control procedures where objectives and targets have been identified under Procedure EMP01 - Environmental Management Plan and EMP06 - Objectives and Targets. However, if, because of the legacy nature of the system, any objectives and targets are limited then the associated operational controls are also likely to be limited. Failures to set operational controls may introduce or increase risks. These risks are likely to relate to unmanaged environmental liabilities and un-discharged legal obligations. It is possible that the consequences of this could be increased cost resulting from delays for bringing the equipment or capability into service, or having to suspend the use of existing equipment. However, consequences might also include limitations to the operational envelopes for equipment and increased cost of remediation or clean-ups. Additional environment content added to para 8.1 & 8.3 as part of SP Tool release. See POEMS Transition Document for further details.